Hydracon has a successfull history with an extensive list of customers. Hydracon is an engineering and manufacturing organization with over 40 years of ocean and aerospace experiences, specializing in subsea products. Hydracon was originally established in Houston, Texas in 1977 and now operates in Anaheim, California. In 1990 Hydracon California began engineering and manufacturing its own designs of submersible electric switches, solenoid valves, solenoid actuators, and a few other subsea products. 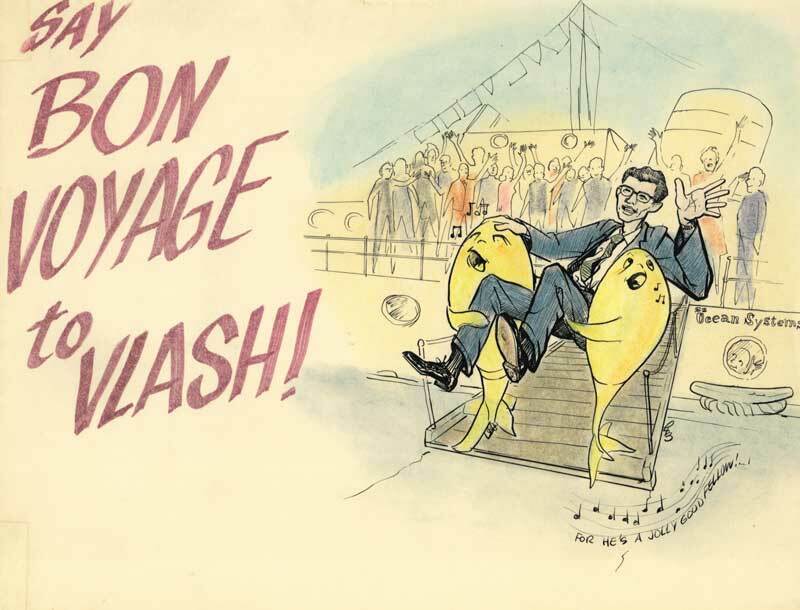 By the end of 2002 Hydracon’s products had grown to well over fifty models, including NAVSEA qualified models. Prior to Hydracon, the founder, Alex Pullos, had a long history of innovative engineering achievements in the subsea, aerospace, and offshore oil industries. Inventor of five patents. His early experiences were with aerospace hydraulics firms Parker Hannifin Aerospace, Bertea Corp, and Futurecraft Corp. During the mid-60’s, with North American Rockwell (now Boeing), he had designed and built several underwater research vehicles, and obtained several patents. During the early-70’s he designed and built Hydril’s first subsea drilling control pod and shear-seal solenoid valve and other related products (see picture below). With HydroTech International, he was responsible for controls for the “Deep Water Pipeline Repair” program. Hydracon (Texas) was the sales representative for Giannini, Brantner, Benthos, General Oceanics, and others. 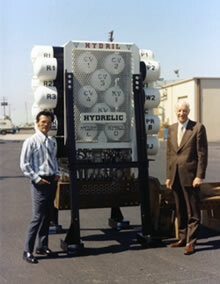 “HYDRELIC” – Hydril’s first subsea control pod designed by Alex Pullos 1973 – 1974. Dolphin research vehicles. North American Aviation. 1962 – 1966. Parachute Release Mechanism, Popup Underwater Vehicle. Awarded patent 3,439,537, April 22, 1969 to Vlash Alex Pullos.